Metal Detector Search for a Lost Earring - Redemption! We got started metal detecting after coming back from a vacation in Florida one summer. When we got back, we bought an entry level metal detector and began hitting parks and schools. It wasn’t until a couple of years later that we got started as Professional Lost Ring Finders. 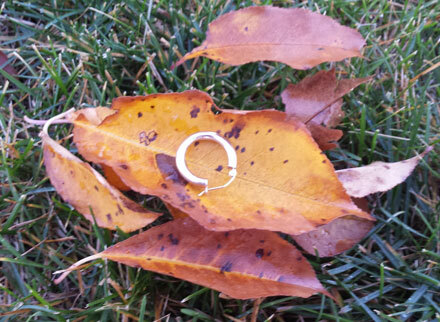 Almost all of the searches we go on with our metal detector are for lost rings. However, we occasionally do go on a metal detector search for a lost earring. One of our first customers as lost Ring Finders was my mother. She had lost one of her earring while gardening in her backyard. She thought that one of the branches from a bush might have gotten stuck on the earring and flicked it off. We were excited to help out and headed over to my parents’ house to see if we could find her earring with our metal detector. It’s funny, when you look out at a backyard, you don’t think about what lies beneath the grass. 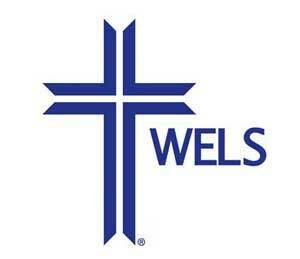 You’d be surprised how much junk, especially construction debris is buried under ground. We searched and searched, but could not find the earring. We did find a lot of junk. Earrings are hard to find with a metal detector, because they are small and don’t contain a lot of gold or other metal to pick up. This means that we need to adjust the settings of the metal detector to be more sensitive and therefore, as a side effect, we pick up more junk that we typically would be able to ignore. Over a year, we tried searching with the metal detector two or three more times, but were never able to find the lost earring. My mom ended up getting a replacement pair the next Christmas … and I really didn’t think much about that lost earring anymore. Fast forward to last weekend … my phone vibrates and I look down to see a text from my dad. 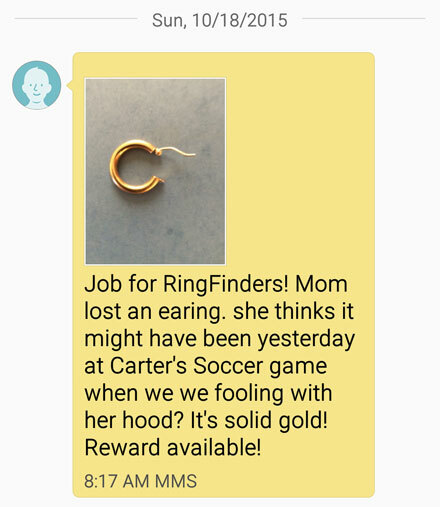 It reads, “Job for the Ring Finders …” along with a picture of a single earring. My parents are faithful attendees to both Carter and Kylie’s sporting events. The previous day they both were at Carter’s soccer game and it was especially windy out. My mom was having a hard time keeping her hood on her head, and was constantly trying to flip it back up to protect her head from the wind. She didn’t remember catching the earring on anything, but her gut said it was probably lost on the sidelines. 24 hours had passed, and probably 10 soccer games were played on that same field … what were the chances we’d find it? We had to try and could not turn down the opportunity for a metal detector search for a lost earring … and an earring for my mother. We rushed out to the soccer field to take a look … but unfortunately there was another match in progress. I thought it’d be a little odd to grab my metal detector and start searching … at least more odd than normal! So instead, Carter and I just walked around and looked with our eyes using our feet to sweep the grass and leaves back and forth … hoping for something to appear. After about 5 mins of looking, I said quietly under my breath … “No way … you’ve got to be kidding me”. There it was, staring back at me – the lost earring. Who needs a metal detector? It was sweet redemption – I wasn’t able to find my mother’s first lost earring with a metal detector, but I was able to find the second with my eyes! My reward? A batch of mom’s famous chocolate covered peanut butter balls … a family favorite! If you’ve been reading these stories for any period of time, you’d know how much I love that smile when we are able to return a lost ring to someone. That feeling is awesome. However, that feeling is multiplied when you are able to help out a family member … and even more when it’s your mother!